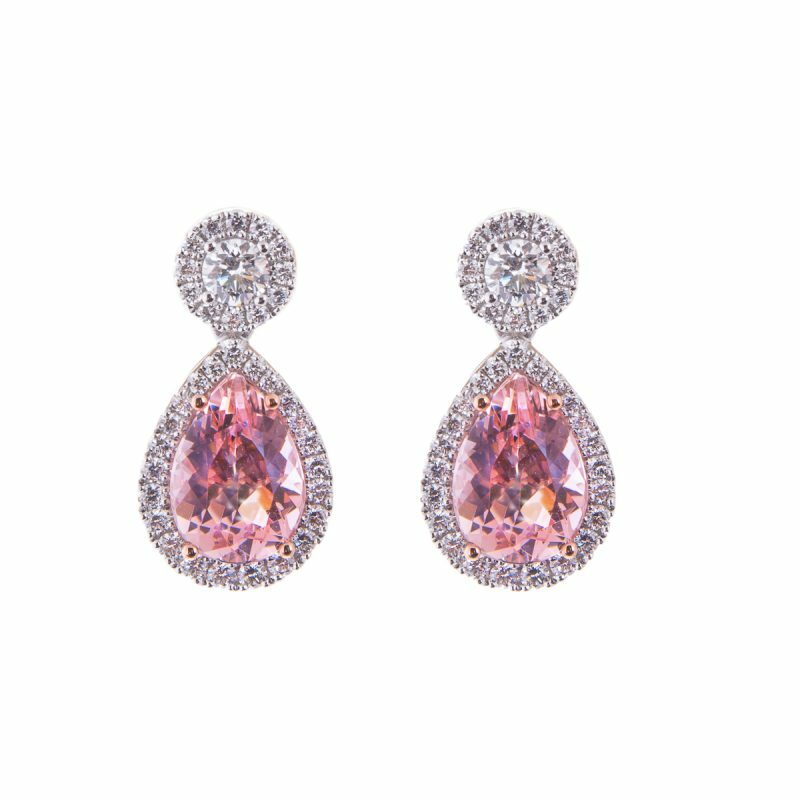 18ct white gold pear cut morganite and round cut aquamarine diamond set drop earrings. 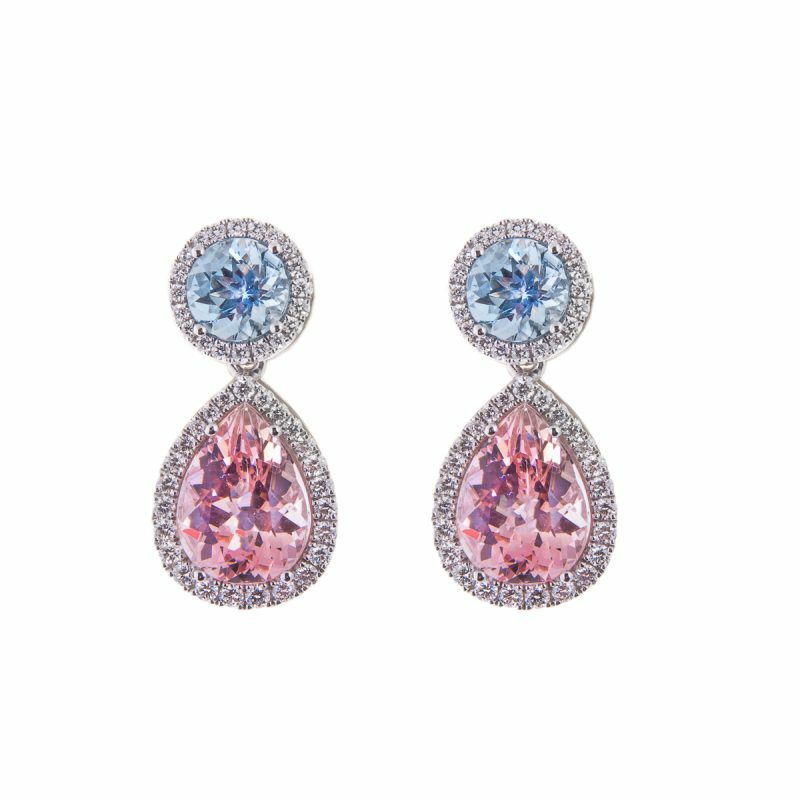 This beautiful delicate pink beryl has a fantastic hardness and brilliance and is compliments the sea blue of the aquamarines. 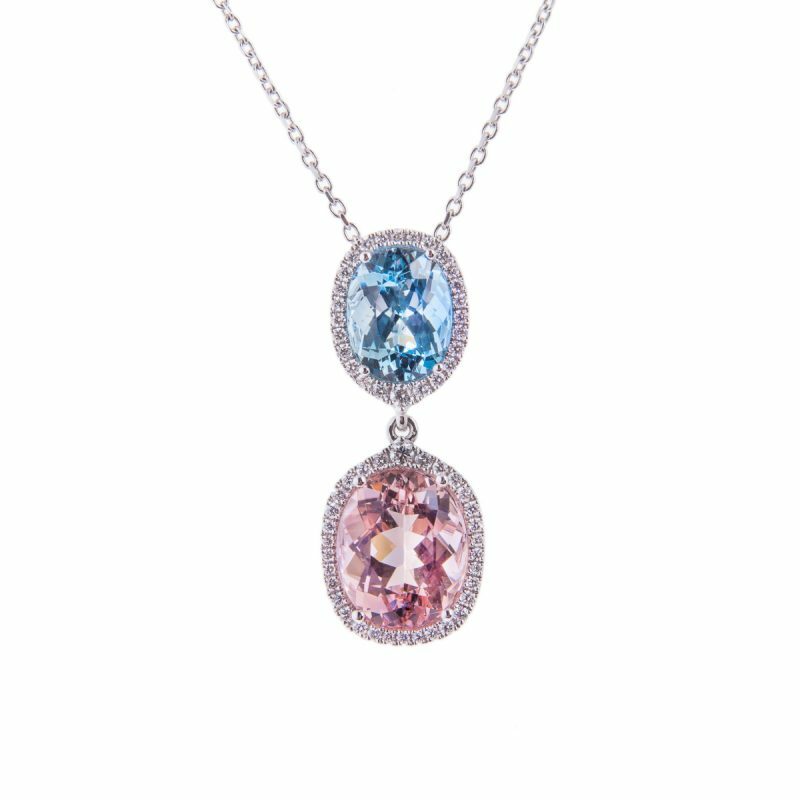 Hancocks have mounted each of these gemstones in a brilliant cut diamond halo setting to show off their unique colour. 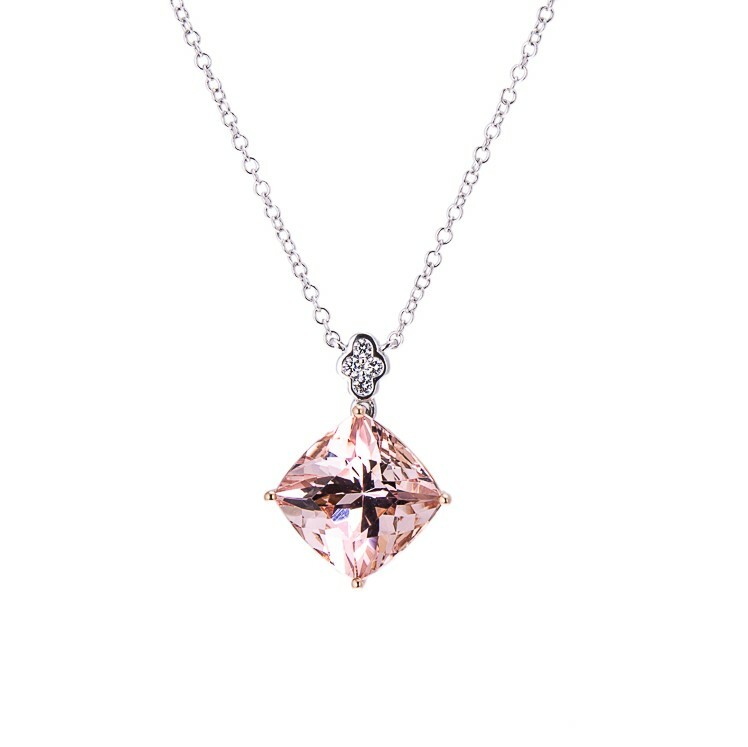 To complete the look why not match it with this exquisite pendant 52/303.